A little stone about eight inches wide and about a foot high in Oaklawn cemetery marks the last resting place of Joseph Harter, Sr., a man who was one of the co-founders of North Manchester, and who with his sons, Joseph B. and Jacob, played an important part in the early industrial and business development in North Manchester. In the same cemetery plat lie some of the other members of the family, with small markers indicating their names and ages. In a nearby plat are buried a daughter, Elizabeth Switzer, her husband, and members of the Switzer family. The Joseph Harter, Sr., lot is just south of the principal east and west drive that separates the old and new sections of the cemetery, and well to the west part. Just across the drive to the north is the burial lot of a daughter, Mrs. Susan Eagle, her husband, Francis Eagle, and children and grandchildren, including a daughter, Mrs. Mary Eagle Curtner and her husband, John Curtner. In marked contrast to the little stone marking the grave of the father, is the elaborate monument of the daughter and her family. It is one of the largest and most elaborate in the cemetery. It takes more than a cemetery monument to establish a memory in a community. Without in any way intending any discredit to the Eagle and Curtner family, the name of old Joseph Harter will be remembered in North Manchester long after the name of his daughter and her family are forgotten. As long as North Manchester people are interested in the pioneers of the town and its early history, the name and memory of Joseph Harter will endure. He helped plat part of the town, he saw the need of a flour mill to supply the settlers with food. He had the financial capital and put it to work at the time when North Manchester was in its infancy and there was no assurance the venture would pay. Such a man does not need a cemetery monument to perpetuate his name, for his monument is perpetuated in the foundations and traditions of the town itself. Mr. Harter was born October 11, 1783, in Pennsylvania. His wife, Elizabeth Brower Harter, was born October 20, 1785, in Virginia. Both were of German descent. They first lived near Hagerstown, Maryland, where the older children were born, and then moved to near Germantown, Montgomery county, Ohio, according to an account of Mrs. Arthur Smith of Indianapolis, a granddaughter. Mr. Harter and his family, and his oldest son, Eli, who was married in Ohio, came to Indiana in 1836. They moved by covered wagon, going first to Indianapolis, at that time only a small village, and then continued the trek northward into Wabash county. It took between two and three weeks to travel from Germantown to Indianapolis. When they reached North Manchester, Mr. Harter built a cabin near a spring, some distance east of the Wabash road and the old mill site in the southwest part of town. The exact location of this cabin is not known, for in later years, the Big Four railroad was built across the Harter farm, and the old spring has probably been diverted into a tile ditch. Eli built the second house in North Manchester proper. Peter Ogan had built his cabin on the south side of Main Street, on the lot long occupied by the Williams drug store, and now occupied by the Gamble store. There was a strong spring on this lot. Eli built his cabin on a lot west of the town hall, and helped his father establish a saw mill and later, in 1839, the flour mill in the southwest part of town. The story of this mill has been told in a previous story and need not be retold. Joseph Harter continued in the milling business until 1851 when he gave the business to his two sons, Jacob and Joseph B. and retired from active business. The name of Joseph Harter is prominent in the early German Baptist or Dunkard history of this locality. He was the first preacher of the congregation in this community. At that time there was no church and meetings were held in the homes and barns of members. His son, Eli, was a deacon in the congregation later organized two miles west of North Manchester. Mr. and Mrs. Harter were the parents of ten children. Besides the five mentioned above, there was Christian, who lived for a number of years south of Wabash [Ed: Christian was a miller at Collamer for several years], and who was accidentally killed when a team became frightened and he was dragged and crushed as the horses ran close to a stump. Magdalene married Dr. Joseph Travis; Delilah, born in 1810 and died in 1850; John, born in 1817, died in 1850; and Phoebe, who died at the age of 16. It is not generally known, but Joseph Harter was married twice. Elizabeth died May 18, 1856, and Mr. Harter married again. She is mentioned as Juday Harter, but her last name is not known. Mr. Harter died in 1861 and the second wife died in 1864. Joseph Harter must have been a man of means before he came to North Manchester. In 1835, 1836, and 1837 he entered 1,795 acres of land in Chester township and 960 acres in Pleasant township. Oddly enough he never lived on any of this land, for his home and the mill were located on land he bought of Daniel Stone after coming to North Manchester. Much of the Chester township land was along the road north of the Peabody factory in the second and third row of sections. He sold part of this land to later settlers, but retained a considerable portion of it until 1851 when he by will divided his estate among his children. This will, while it is in Miscellaneous Record A-33 at Wabash was never probated. Provisions of it were as follows: to Eli $800 and certain land. To Christian $800 and certain land. To Elizabeth Switzer, $800 and certain land. To Suzanne Eagle, $800 and certain land. To Joseph B., the east half of southwest quarter of Section 32, township 30, 7 range east, except lots sold, also east half of southwest quarter of Section 29, value $1,400. To Jacob the west half of the two quarter sections mentioned above, value $1,400. The northeast quarter of section 30, township 30, range 7, was to be sold and the money divided. From the sale of this land, each of the first three children were to receive $600 to equalize the portion given Jacob and Joseph B. The widow received a life estate in the "Home farm" along the river, part of this being the land now owned by Ezra Miller, but the land for the grist mill, carding shop, machine shop were excepted and the "little frame house near the spring." Apparently this referred to the original home and probably at that time Mr. Harter was living in a new and larger house nearer the Wabash road. She was to receive $400 at his death, and $50 yearly. Since this will was made in 1851, the first wife was referred to in the will. After she died and Mr. Harter remarried, there was a codicil, with provisions for the second wife, being the same as intended for the first wife, whom Mr. Harter outlived. Only in the codicil, Juday and Joseph B. were named as joint executors. The will was witnessed by Israel Harter and William Emerick. Excepted in the will was the land set aside for the little cemetery. Few people today know there was a cemetery on the Harter farm, now the Ezra Miller farm. This little cemetery was situated on a knoll, a little south of South street near the intersection of First street. It was used as a family burial site, and was used for burial purposes by a number of the early settler families, for it was not until about 1843 that the Old Cemetery on North Market street was laid out by Allen Holderman. There were buried the Harter children who died early in life, Mr. Harter and his first wife. Possibly the second wife was buried there, or if she was a widow at the time of her marriage to him, she probably was buried beside her first husband as was customary. At any rate, there is no monument bearing her name. This cemetery remained undisturbed, although no longer used for burial purposes until the Manchester cemetery, now Oaklawn, was platted January 19, 1878. In platting the new cemetery, the sons, Jacob and Joseph B. reserved a double lot and moved the bodies of the parents and the brothers and sisters to the new cemetery. The members of the Swizer family were also moved about that time to another lot nearby. Other removals occurred in the intervening years. Mrs. Effie Place distinctly remembers when those bodies were moved, for she was then a girl of about sixteen. Some time prior to 1912, Ora Bone, who then owned the farm, had the few remaining bodies removed, and opened a gravel pit where the cemetery was located. Part of the gravel out of this pit was used in paving Second street a few years later. Thus when there is talk of moving the Old Cemetery in North Manchester, it should be remembered there was in existence an older cemetery, and those bodies were moved to a more permanent resting place where records are kept and the graves maintained. That also is the primary purpose of the effort to move the bodies in the Old cemetery to Oaklawn. The name of Harter in the business interests of the town was kept alive by the two sons, Jacob and Joseph B., "J. and J.B. Harter," as their firm name was known for many years. They were the youngest of the family. Jacob was nine and Joseph was seven years old when their parents came to North Manchester. It is said of them, they were never separated more than a week in their entire lives. 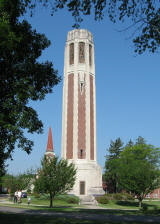 They attended Wittenberg College at Springfield, Ohio, and it is said were the first to attend college from Wabash county. Then in 1851 they took charge of the Harter flour mill. Prior to then they were in the mercantile business at Collamer for a year or so, and probably had an interest in the Collamer mill, for the abstract shows the mill was owned at one time by Harter & Miller. [Ed. This was Christian Harter who partnered with Miller, not Jacob and Joseph B.] They married sisters. Jacob married Catharine Cowgill in 1854 and Joseph married Rowena Cowgill in 1856. In 1855, they helped found the Laketon mill, and at the same time were engaged in the general mercantile business in North Manchester. At first they occupied the Henney building at the corner of Market street where the Standard Oil Station is located. In 1867 they built the first brick store building in North Manchester. This building was remodeled for the Union Trust Company when it was organized and is now owned by Dr. J.L. Warvel and used as an office building. At first they had a stock of dry goods and general merchandise, but during the Civil War they discontinued all but the drug business. They also built the brick building to the west, now occupied by the auto license bureau, and that was occupied for a number of years by the post office. It is said this building was built especially for that purpose. Mrs. Smith says her father, J.B. Harter, told her when it became necessary to visit eastern mercantile markets, he would go to Lagro, board a canal boat and go to Toledo, Ohio, thence across Lake Erie and down the Hudson river to New York City. He made that trip annually. The nearest bank was Fort Wayne, a long trip on horseback through the woods. Probably it was this fact that caused the brothers to buy a safe--one that for years was the largest in North Manchester. It was used by many as a place to keep their money and valuables, and even after the banks were established here, merchants on Saturday nights would take their money to "Uncle Jake and Joe," and leave it in their keeping. B. Oppenheim, recalls that he frequently did this, and adds that never was a penny missing from the money bags, nor a whisper of suspicion against the integrity of the Harter brothers. During the intervening years, much of the town between Market street and the Pennsylvania railroad, and north of Third was platted by the Harters. They also retained ownership of the land north of the railroad, later the Oak Park addition, and the land now owned by T.A. Peabody, both his home and the land he purchased from the late J.W. Warvel. It was known as Harter's grove, and the Church of the Brethren conference of 1888 was held there. It was at this meeting that Elder James Quinter, a revered member of the church, died as he was uttering the closing prayer at one of the sessions. A tablet marks the spot where he died. In 1900 the annual meeting again was held in North Manchester and again Harter's grove was the meeting place, this time at the east side of the grove near the Pennsylvania railroad track. Two other meetings have been held at North Manchester, one in 1878 at the West Manchester Church and one in 1929 at Manchester College. Harter's grove was a favorite reunion ground for the 47th Indiana regiment of the Civil War, of which so many from this locality were members. One time a three-day encampment was held in the Grove. The Harter Brothers helped incorporate the Manchester Cemetery January 19, 1879. Other incorporators were Michael Henney, Levi J. Noftzger, Joseph H. Bonner, and George W. Lawrence. There were 200 shares, Noftzger 10, Bonner 5, Lawrence 15, Jacob Harter 8 and Joseph B. 7. This land was bought of Calvin Cowgill and $2,150 was paid for fifteen acres. Only the south part was platted at first, that part south of the main driveway. Those men or their heirs retained control of the cemetery until 1914, when the Oaklawn cemetery association was formed. About fifty business men borrowed $2,000 to purchase the cemetery, and the note was repaid by sale of lots and other income. The first directors were Samuel Hamilton, president; Charles B. Frame, vice president; T.B. Clark, secretary and M.F. Adams, treasurer. Other directors were J.A. Browne, Daniel Sheller, John C. Bonner, W.H. Ballenger and Ademar Rufle. All those men are dead except Mr. Adams, Mr. Ballenger and Mr. Bonner. Mr. Adams has been treasurer of the association all these years, and Mr. Ballenger a director. Presnet directors besides the two mentioned are George N. Bender, secretary, L.P. Urschel and Henry Reiff. After the Arnold bank failure, the Bank of North Manchester was organized. This bank failed June 10, 1904, and on the books, Jacob and Joseph B. Harter were listed as heavy stockholders, although they never were active in the bank. True to their reputation as honorable business men, they turned most of their property to Lewis Signs, who had been appointed receiver, and who was later succeeded as receiver by Uriah H. Howenstine. It has been often said they were too honorable to resort to any trickery, and chose rather to impoverish themselves than to defraud the depositors. At any rate, although there was considerable loss to depositors, never was there a word of rebuke or reproach uttered against Jacob or Joseph B. Harter. Jacob was the father of three children. Howell, who died in 1902, Nellie died in 1910 and Dayton, who died in 1920. Dayton had three children, Mrs. Nita Martin and Mrs. C.E. Brady of North Manchester and Mrs. Rex Hidy of Hammond. Mrs. Arthur Smith of Indianapolis is the only living daughter of Joseph B. Another daughter, Miss Emma Harter, died recently. The two brothers, in keeping with their close affinity throughout the years, built homes near each other. Jacob built and lived in the big brick house east of the public library; Joseph built and lived in the big house on the south side of Main street, west of the Young Hotel. There, after they retired, from active business about 1906, they spent their declining years, honored and respected by all who knew them. Claude Stitt, veteran abstractor at Wabash says that Joseph Harter's name probably is on more legal documents than any other man in Wabash County. He was a notary public for 54 years and executed many wills and other legal documents. Not only did he do this so well that papers he executed were seldom questioned, but in later years he helped straighten out many flaws in titles caused by faulty documents written by others. He knew the history of the town and community from the beginning and knew the people and their relationship. His remarkably accurate memory in his later years enabled him to make many affidavits of relationship and family genealogy that were accepted without question by the courts when titles to property were being quieted. Mr. Stitt recalls many occasions when a sworn affidavit by "Uncle Joe Harter," was sufficient to clear a faulty title. There is a story of the tragic toll of lives of early settlers told in the inscriptions on the stones of the Switzer family in Oaklawn cemetery--a story that tells of the terrible mortality rate of infants and young children, victims of many diseases or of little medical and surgical knowledge. It is a story of the death of a young mother at the age of 32, the mother of seven children, five of whom died at birth, or before they had reached the age of six. In every old cemetery in this locality are similar records of family deaths. Some tell of the silent story of smallpox or diphtheria ravages. There is said to be one case in Pleasant township where an entire family, parents and five children, died of diphtheria within five days. The marriage of Miss Elizabeth Harter and Abraham Switzer occurred February 18, 1840, their marriage being the third or fourth in the township. Mr. Switzer set up a cabinet shop in North Manchester and was active in the business interests of the town for a time. Their brief married life ended with the death of the young wife and mother, in January 1852, six days after the birth of an infant, that died at birth. Another stone tells of the death of an infant in 1841. Helen died in 1846 at the age of two years, another infant died at birth in 1850, and little Edna, born in 1849, died in 1855, three years after the death of her mother. Only two of these seven children lived to an adult age, Hiram and Owen Switzer. Those two brothers will be remembered by the older residents of North Manchester, Hiram Switzer was the father of the late Judge Frank Switzer. Eli Harter because he left North Manchester and moved to the farm in Pleasant township did not play much of a part in North Manchester history and it was rather his children and grandchildren who identified that branch of the family with the history of the town. Eli had married Julia Young before coming to North Manchester, and a daughter, the late Mrs. Phoebe Butterbaugh, was the second child born in North Manchester. They reared a large family. Elizabeth, mother of the late A.G. and E.L. Lautzenhiser, Oliver, Henry, Joseph, who was killed during the Civil War, Isaac, later of Lordsburg, California. Abel, who died in California, Mrs. Abner Shautuck, Mrs. John Domer, and Mrs. Daniel Dice, now living in California. She and Mrs. Smith are the only living grandchildren of Joseph Harter, Sr.
Oliver lived on a farm northwest of North Manchester for many years. Mrs. Sam Garber, Joseph E. and John Eli are surviving children of Oliver. John Domer who married a daughter of Eli, was a banker for many years. A.G. Lautzenhiser was in the implement business for many years. E.L. Lautzenhiser was postmaster at one time. Susan Harter was born in 1832 and married Francis M. Eagle. She and her husband became property owners in Wabash county. They lived at Wabash in later years. They were the parents of three children, Ellen Marie, Alice Eagle Stephenson and Mary Eagle Curtner. On the death of Mr. and Mrs. Eagle, Mr. and Mrs. Curtner, as only heirs, acquired large property interests in North Manchester including stock in the Lawrence and Union Trust banks, business buildings and farms. They had no children and on the death of Mr. Curtner, the bulk of the estate passed to his relatives in California. It all began with Andreas Harter from Germany who signed an oath of allegiance in Philadelphia, colony of Pennsylvania, to the King of England on September 25, 1742. Andreas was the father of eight children. A son, Christian, and his wife, Elizabeth Eller, were the parents of Joseph Harter, Sr. The early Harter families lived in Pennsylvania, Maryland, and Virginia. By the nineteenth century many began moving into Ohio and farther west. Joseph Harter and his sons continued in early Manchester industry and real estate. They built flour mills at Laketon and Collamer, and later Eli operated a mill on Treaty Creek at the south edge of Wabash. In 1851 Joseph, Sr., turned most of his business interests to youngest sons, Jacob and Joseph, Jr. One may consider the last of this real estate empire, if it was such, as that part of town known as Harter’s woods, finally platted as Oak Park Addition, now a part of Warvel Park and the residence of late Tom Peabody [300 West Seventh Street]. Joseph Harter, Sr., was the first resident preacher, elder, and moderator of the German Baptist Church (Dunkard) and preached in German. The records of the Harters’ early residences are meager, but a cemetery was started east of the Controls Corporation plant, and early family burials were made there. In 1878 Jacob and Joseph Harter, Jr., together with other citizens, organized the Oaklawn Cemetery, and all the Harter family remains were moved there. The writer’s grandfather, Oliver Harter, was four years old in 1836. I have heard him tell of remembering that his father and grandfather traded with the Indians on or near the college athletic field, a former Indian village site. One would need to assume that this was a roving band of Indians, as the village itself would likely have been abandoned soon after the Treaty of 1835. Joseph Harter, Sr., and his wife, Elizabeth, were the parents of 11 children, some of whom were life residents of the community. Their oldest son, Eli, 1807-1890, and his wife, Julia Ann Young, 1812-? built the second house in North Manchester [which stood just west of the present town hall. Billings, page 17]. They lived many years on a farm one-half mile south of State Road 114 on the Laketon Road at the creek. The story is told that during the time which the Eli Harters lived there, the hired hand, Joe Crill, came in from the field one day and told Mr. Harter he was going to California and get enough gold to buy his farm, He did just that and brought back $5,000 in gold and bought the farm. The Harters moved to the Treaty Creek Mill south of Wabash, which they operated, built a substantial brick house, and possibly never prospered so well after that time. Eli and Julia Ann were the parents of 12 children, six of whom I will mention. Elizabeth, the eldest, married Joseph Lautzenhiser, and they lived in North Manchester. A son, Amziah, was in the implement business. Another son, Lincoln was a former postmaster in North Manchester. Oliver married Melissa Blickenstaff, and they lived their married life on a farm five miles northwest of North Manchester. Their six children were Elliot, John, Joseph, Julia (who married Sam Garber), Ovid, and Minerva. Henry married Mary Dice. They raised two sons and two daughters and lived in Missouri some years, a few on short rations. Henry spent his last years two miles southeast of North Manchester. Phoebe married David Butterbaugh. She was the first Caucasian child born in North Manchester [Billings, page 17]. They were parents of Henry, Julia (who married John Shively), Esli, and Eli. Joseph, a sergeant in the United States Army, 47th Infantry, was killed September 1862 in Kentucky. Doretta married John Domer. Domer was president of the Lawrence Bank in North Manchester. Their daughter, Emma, married Warren Dewey. A son, Walter, was a medical doctor in Wabash. Elizabeth, a daughter of Joseph Harter, Sr., married Abram Switzer, who had a harness shop in North Manchester. They were the grandparents of Frank Switzer, a former judge of the Wabash County Circuit Court. Susan, another daughter of Joseph, Sr., married Francis Eagle in Wabash. Eagle was in various businesses there. Jacob and Joseph Harter, Jr., the youngest sons of Joseph, Sr., married sisters. Jacob married Catherine Cowgill. They built the large brick house at 202 West Main Street, just east of the public library. Their son, Dayton, was the father of three daughters, Mrs. Nita Martin, Mrs. Mary Hidy, and Mrs. Clarence (Kathy) Brady. Joseph Harter, Jr., married Rowena Cowgill, and they build the brick house on Main Street directly across the street from brother Jacob. They were the parents of two daughters, Emma, and Mrs. Art Grace) Smith. Jacob and Joseph Harter, Jr., operated a drugstore (of sorts) at 116 East Main Street . Israel Harter, 1806-1875, a nephew of Joseph, Sr., and his wife Charlotta Kitson, came to North Manchester from Ohio in 1837. They first settled two miles west of North Manchester on Clear Creek. Much of their later life they spent on a farm immediately east of the Main Street bridge. Seven children were known and lived in this community. Many descendants are living. The children were Henrietta (married Peter Swank); Patterson; Stephan, a Civil War veteran, 1861-1865; Margaret (married David M. Shively); Martha (married Samuel Miller, a bee expert and nurseryman who build the house at 410 East Ninth); Tabitha (married Charles Smith). Israel followed his uncle as preacher and second elder in the German Baptist Church. Like many German immigrants the Harters were Lutherans, but many became German Baptists.